With the clock running out on his presidency, Barack Obama is taking some last-minute steps to cement his legacy – from handing out government appointments and releasing Guantanamo prisoners to deploying US troops along the Russian border. For a president who once famously said “I’ve got a pen and I’ve got a phone,” Obama has not issued very many executive orders. He averaged only 34 per year for a total of 275, according to Pew Research. Eighteen of those executive orders came in the wake of the November 8, 2016 election, however. One of Obama’s main campaign promises in 2008 was that he would close down the camp in Guantanamo Bay set up by his predecessor in 2002, calling it a “a recruiting tool” for terrorists, including Islamic State (IS, formerly ISIS/ISIL). Yet he did not push very hard to do so when he had the chance and eventually faced a Republican-majority Congress that expressly forbade him to close to offshore detention camp. What Obama has done, however, is release nearly 200 of Guantanamo’s prisoners since taking office in 2009. The most recent transfer took place on Monday and involved 10 Yemeni nationals who were sent to Oman. On Tuesday, Obama commuted much of the sentence of Chelsea Manning, the Army whistleblower who handed over thousands of US documents to WikiLeaks in 2010. Manning had been sentenced in 2013 to 35 years in prison under the Espionage Act, but will be released on May 17. Manning has attempted suicide twice while imprisoned at Fort Leavenworth, Kansas, and over 100,000 people have signed a petition calling for her release. Among them was NSA whistleblower Edward Snowden, currently in exile in Russia. Many expected Obama to pardon Snowden as well, with over a million people worldwide signing a recent petition asking him to do so. While Snowden was touched and had “no words” for the outpouring of support, the White House rebuffed the plea. Snowden “fled into the arms of an adversary, and has sought refuge in a country that most recently made a concerted effort to undermine confidence in our democracy,” White House spokesman Josh Earnest told reporters on Friday. By contrast, Manning “went through the military criminal justice process, was exposed to due process, was found guilty, was sentenced for her crimes, and she acknowledged wrongdoing,” Earnest said, adding that Obama was “actively considering” commuting her sentence. While rejecting a pardon for Snowden, the Obama administration has moved to make raw NSA surveillance data available to all US law enforcement agencies. The previous strict limits on sharing raw data with other government agencies were “eviscerated” by the new rules, according to Attorney General Loretta Lynch’s announcement last week. As Snowden himself pointed out, NSA surveillance is conducted under Executive Order 12333 and requires no warrants or court approval. 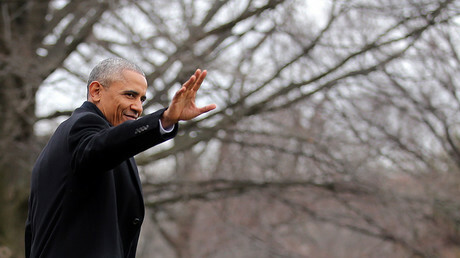 Before leaving the White House, Obama has also sought to take care of his advisers and staff. Since January 1, he has named 72 people to various federal job openings, and nominated another 17 for posts requiring Senate confirmation, according to CBS White House correspondent Mark Knoller. The latest round of appointments, on Monday, included seats on the Kennedy Center for Performing Arts board of trustees for Senior Advisor to the President Valerie Jarrett and National Security Advisor Susan Rice, as well as a seat on the board of the US Holocaust Memorial Museum for Assistant to the President Ben Rhodes. In Monday’s announcement, Obama also appointed the ambassador to Congo and a member to the US International Trade Commission. Both appointments require Senate confirmation, but are unlikely to receive it. The president-elect has already requested the recall of all politically-appointed US ambassadors. During his first term, Obama launched the optimistically-named ‘reset’ of relations with Russia. He leaves the White House amid the worst hostility between Washington and Moscow since the Cold War. A 4,000-strong US combat team with tanks and armored vehicles arrived in Poland earlier this month, while hundreds of US Marines deployed to Norway and Army Rangers arrived in Ukraine. Thousands of German, Dutch, British and Canadian troops are scheduled to deploy in Estonia, Latvia in Lithuania between now and April – the biggest concentration of troops along the Russian border since Nazi Germany launched Operation Barbarossa in June 1941. In 2011, Secretary of State Hillary Clinton presented to her Russian counterpart Sergey Lavrov a red button that said “reset” in English – and supposedly in Russian. Due to a translation error by the State Department, the Russian inscription actually read “overload” – a gaffe that in retrospect seems more prophetic than accidental. Current Secretary of State John Kerry defended the US foreign policy posture and sought to bequeath it to the next administration in his January 5 ‘Exit Memo’ speech. 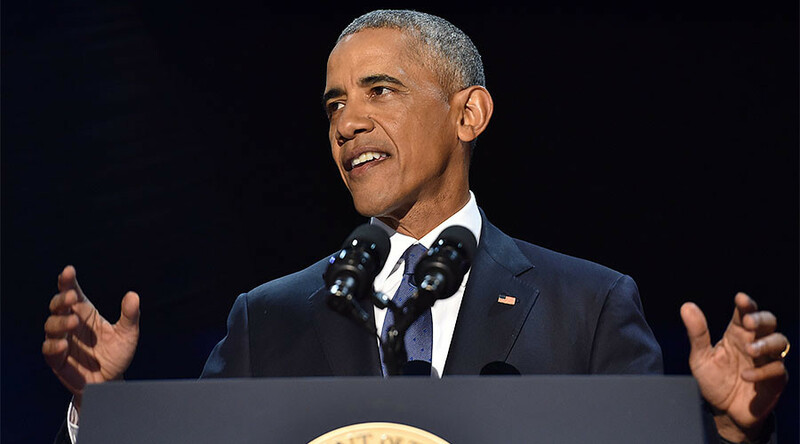 During his January 11 farewell address, Obama urged Americans to stay on the course he charted during the previous eight years. Donald Trump was elected president on a platform explicitly repudiating most of Obama’s legacy, however, from foreign policy to Obamacare. He will take the oath of office at noon on Friday, January 20.